Astrolabe Sailing | Sailing, yachts, adventure and sailing around the world! Hi! thanks for visiting my blog. My name is Viki and my dream is to sail around the world. I have had this dream since I was a child, and I am actively saving and working towards this goal. Thankfully I met Andrew who is just as passionate about sailing as I am. So now I have the perfect partner things are really starting to fall in to place. Our home port is Lyttelton Harbour – on the East Coast of the South Island of New Zealand. 43.60° S, 172.72° E.
I will attempt to answer all these questions and more in my blog of working towards making the dream a reality. First of all our respective children need to finish school. Their other parents would never let us take them off around the world in a yacht, and we wouldn’t leave without them, so we need to do some parenting all the while we are getting prepared. Then there is the yacht – I already have Wildwood who has been a wonderful yacht to me over the last 12 years. She is a great coastal racer/cruiser, but we are going to need something bigger to sail around the world in. Which leads me to my next hurdle – money… I have got some rental properties which I am busy trying to pay the mortgages off – hopefully this will provide the funding for both the yacht and the passive income to support my cruising retirement – hopefully when I am 45. In addition to that we are trying to up skill ourselves in share trading, another little thing for us to work on between now and then. So the main reason for this blog. It is really a place for me to store all the things I learn and bits of information I am gathering together along the way. I have filed them all under the different headings above to try and create some kind of order to my different postings and to make it easier for me to refer back to. Like our Facebook page or click on the link on the top right hand side of this page. You can also sign up to get an email delivered any time we update our page – click on the ‘follow’ link on the top right hand side. If you are a regular WordPress visitor then you can follow us on their blog reader page. To navigate around the site I have got some handy index tabs. ‘Diary’ has got our current stories, ‘Yacht’ covers off what we want in a boat, ‘Destinations’ details the specific areas that we have visited, ‘Sailing’ includes my Ocean Yachtmaster study notes, ‘Administration’ gives some tips and advice about non sailing things, ‘Safety’ is all about our yachting disaster plans and equipment, and ‘Map’ is a page we are going to use when we get a tracking device, so my Mum can see where I am! PS. Should you have just won the lottery or inherited millions and you have run out of things to spend it on, or if you simply wish to help some passionate sailors fast track our dreams in to a reality or if you would just like to buy us a coffee or a cocktail we would really appreciate your assistance! All donations go straight in to the boat kitty. Click here to make safe payments direct to us via Pay-Pal. You have the right idea, just leave go this year its the absolutely best thing you can do for your children. Fly to the east coast of the US bye a 40 to 50 foot yacht between 20 and 40 thousand and go, the sails will be good Americans motor everywhere We are 5 years into our second circumnavigation and spending $15,000 NZ per year. Hi Viki! I just left a long-winded message on your Astrolab Sailing and VM2 Racing page. This is probably a better place to contact you I expect. 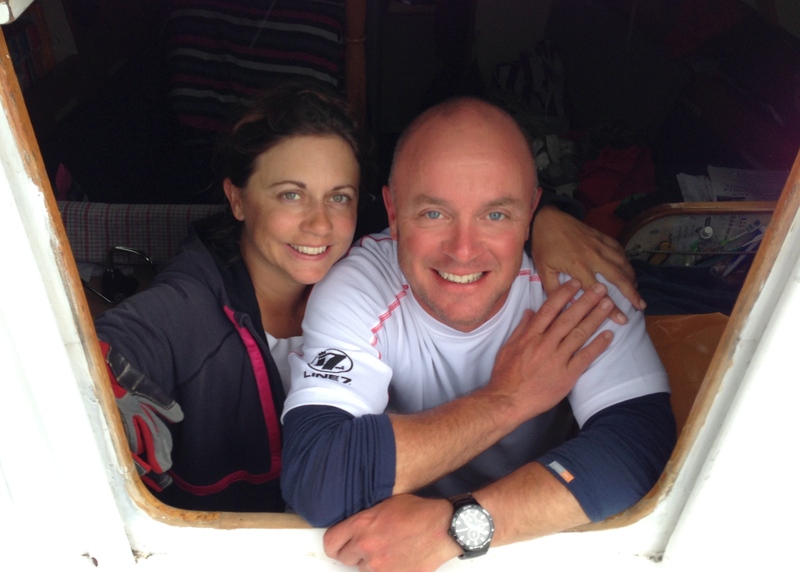 I am a dual citizen Canadian/Kiwi and my husband and co-skipper Bill and I sailed Terrwyn our PSC 37 to NZ in 2011. Flew back to Canada to fill the sailing kitty and then left NZ in 2013 to continue our circumnavigation which we completed in June 2016. We are going to be in NZ again next year (2020) after Bill does his solo voyage this time in our Pixie a BCC 28. Do you have some tips about best South Island anchorages? We will be meeting in Dunedin (where we first met in 1977) and then sailing up to North Island to do a bit of Bay of Island sailing (our favourite). Any recommendations about South Island cruising would be most appreciated. Great “talking” with you on FB. Thanks for all the info and help!